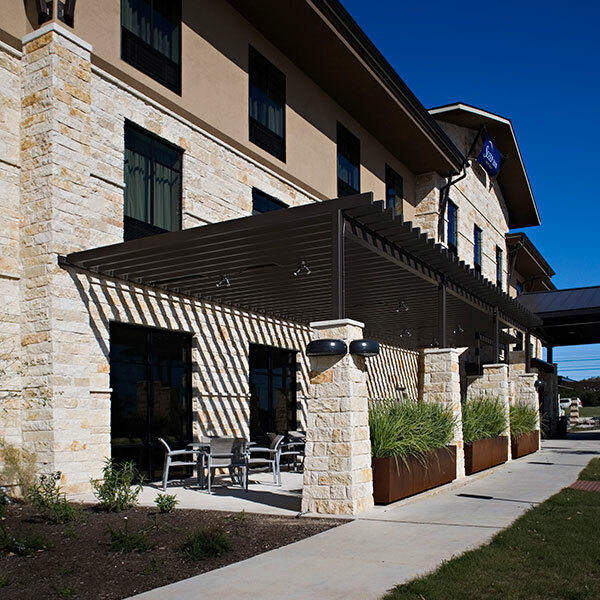 The 3-story, 56 room hotel was a welcome addition to Dripping Springs (located in the Texas Hill Country about 25 miles west of Austin), a city that seemed to have a definite need for guest accommodations. 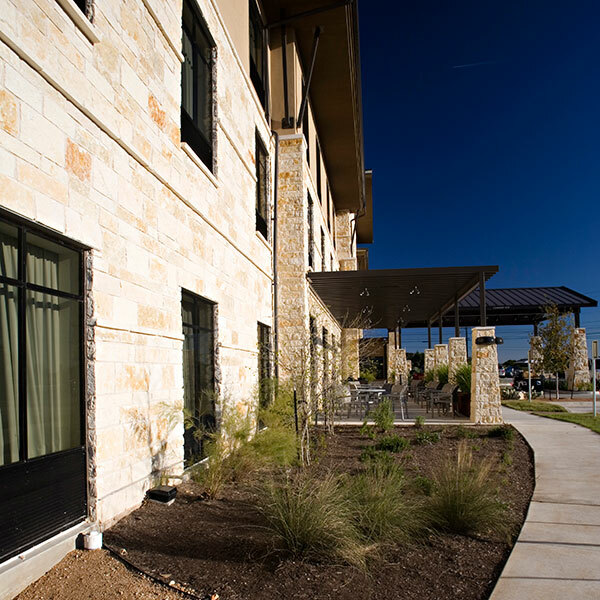 The hotel, located in the “Gateway To The Hill Country,” was the first of several projects designed to boost the small town’s tourist trade. The prime location allows guests to take full advantage of the scenery from their guestroom windows. 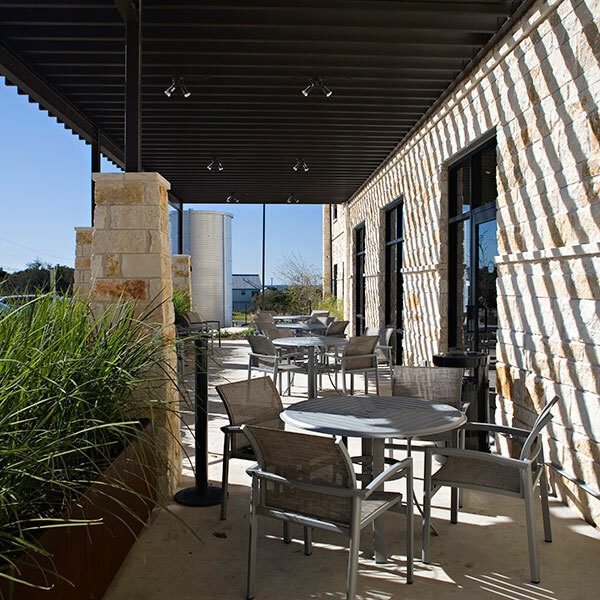 Guests have access to local wineries, historical Fredericksburg, the home of the Admiral Nimitz Museum and the World War II and Pacific War Museum. The hotel was designed with both tourists and leisure travelers in mind. Each room has a desk, microwave, refrigerator, coffee maker, internet, telephone and cable TV. The suites have private bedrooms/living rooms with jetted tubs. The architect kept the Texas heat in mind and designed the inn with an indoor pool. A fitness room provides another way for travelers to blow off steam and release stress. This project is a wood framed building with stone and stucco veneer. It has a steel substructure on the first floor. It is slab on grade with concrete beams and reinforced with steel built on 96 piers. The project opened its doors in October 2011, both on schedule and on budget. It is built with the care and quality for which Journeyman Construction is known.